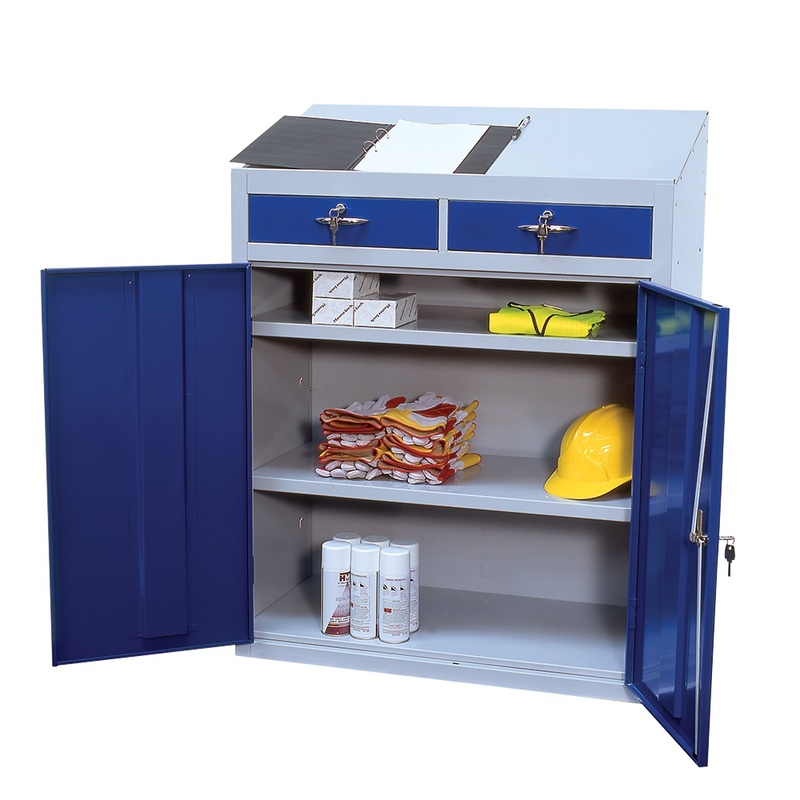 Secure storage for documents, tools and equipment. Steel construction with hardwearing polyester powder coated finish. Sloping top complete with retaining edge. Choice of single drawer with open compartment or double drawer - all lockable. Two point locking mechanism, supplied with two keys. Grey carcass with a choice of coloured doors. Anti-bacterial powder coating which reduces cross-contamination for surfaces with high contact frequency, inhibiting the growth of potentially lethal bacteria and funghi, it remains effective for the life of the painted surface.